Health Canada recently talked about its planned packaging and labelling requirements for cannabis. This came on the federal government’s public consultation on legalization. According to the summary provided, the vast majority of those who took part were in support of the proposed regulation. The statistics were first seen in Health Canada’s November 2017 consultation paper. The result of the consultation taken part by the industry stakeholders was almost unanimous in favor for rules around packaging and labelling of cannabis products. They said that in order to be compliant at the time of legalization, they will need to know the packaging rules and requirements as soon as possible due to the time consumed in designing it. 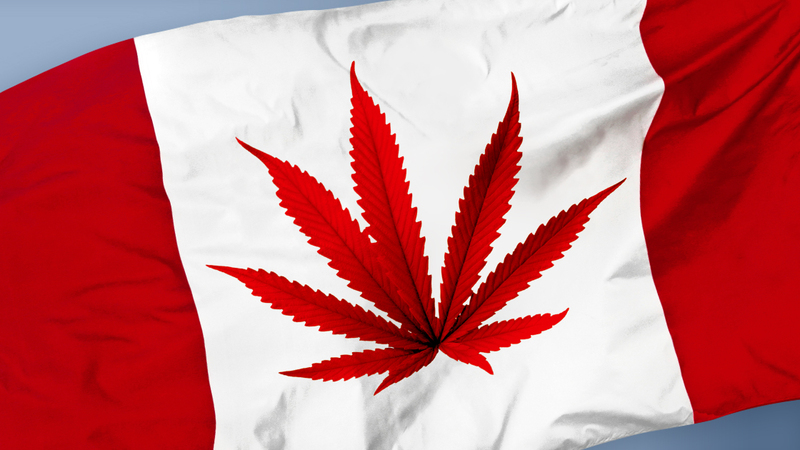 The federal body also asked the stakeholders what their thoughts were on cannabis products, cannabis for medical purposes, licenses, and security clearances. What Does This Proposal Dictate? This proposal said that any and all cannabis products should be sold in packaging that is not only tamper-proof but also child-resistant. There needs to be restrictions placed on the graphics, color, and other visual elements to make cannabis less attractive or tempting to the young people. This was one of the government’s frequently emphasized primary health and safety objectives. Specific information regarding the mandatory warning and potency will also need to be printed clearly, in addition to the cannabis symbol. Some respondents did find these proposed restrictions a bit too strict. Some were of the opinion that letting the producers have the freedom to brand, design, and market their product would assist them in distinguishing their products from that of the others. This makes sense, regarding both legal and illegal products. In response to this concern, Health Canada made a change and permitted the producers to have one additional marketing or branding element present. They will already have their brand name, and their slogan or logo. Now, they can add one more mark. However, even this concession comes with restrictions. If the producer decides to use a logo, it cannot be bigger than the standardized cannabis symbol. If a slogan is used, the text cannot be bigger than the health warning messages. It should also be of one color. Metallic or fluorescent colors are prohibited, as are glossy embossing, texture, coatings, foil, peel-away labels, cut-outs, and package inserts. A series of annexes provide the producers with all the details, such as the minimum size of the standardized logos, placement of the necessary information, and a list of health warnings. These restrictions and rules were decided with a panel where members of the cannabis industry were present as well. Each package should support a bright display of one of the six approved and recommended health warnings. These warnings must be printed on a yellow background. A few options are “Regular use of cannabis can increase the risk of psychosis and schizophrenia”, “Cannabis can be addictive”, and “Adolescents are at great risk of harms from cannabis”. As mentioned above, each packaging must have a standardized cannabis symbol. What is this symbol? It is a stop sign that has a cannabis leaf and the letters “THC”. This is mandatory and every cannabis package needs to have this. The packaging will also have messages like “Keep out of reach of children”, “Do not use if pregnant or breastfeeding”, and “Cannabis smoke is harmful”. Why is Canada Taking This Step? Health Canada’s proposed regulations regarding cannabis packaging will be in effect from October onwards. The main idea of taking this step is to make it unappealing for young people. With “plain packaging” being the first step taken. From experience with alcohol and tobacco, we are aware that with clever brand marketing it is quite easy to target specific age groups. With legalization, one of the most important pieces of information that will become necessary to be printed are the levels of CBD and THC, since most people have little to no idea on the what is little and what is a lot regarding THC levels. This new proposal will also be applicable to medical cannabis. As of now, there are no restrictions, not even a health warning that needs to be printed on cannabis packaging. Legalization of medical marijuana is increasing in cities, states, and countries around the globe. With the increase in the numbers, it is only fair that it needs to be packaged and marketed to customers in an easy, safe, and protected manner. Misunderstandings and myths surrounding the use of cannabis are being shed as more and more people are using it. The producers need to understand the benefits of packaging marijuana well such that the consumers are aware of it. public. We are prepared and ready to take on the newly proposed regulations so that the cannabis packaging is compliant to the rules. Selecting just the right type of cannabis packaging is an important part of your business as both medical and recreational marijuana packaging acts as your brand’s voice. The packaging should be able to communicate the product’s quality, your trustworthiness, and make sure it is set apart from other producers in the market. We provide excellent packaging for both medical and recreational marijuana. We make sure that the packaging is done with strong, FDA-approved laminated layers which work to keep the cannabis inside fresh. It remains in good condition and its aroma is sealed within the packaging. Our packaging also helps to block natural elements, such as oxygen, moisture, and UV light. Whether you are wondering how to pack and market your marijuana the best way or are looking for options to pack marijuana edibles, we can offer you a variety of choices. We have barrier bags and stand up pouches that are flexible, durable, and come with the ability to keep the packaged good safe. The quality of the packaged cannabis will be maintained and the packaging will reflect your brand as well. Find out why some people aren’t too happy about how Cannabis is being sold in this video below. NewPrint is one of the leading companies which works with producers to ensure that marijuana – medical or recreational – is packed well so as to not lose its quality and freshness. Previously, cannabis was packed in small and discreet bags. However, today, consumers and sellers both are looking out for the big brand in the cannabis industry. Offering great packaging will help you become the next big brand. We will help you choose the colors and design that will not only comply with the regulations but will also market your products effectively. We at NewPrint understand that packaging plays a critical role in marketing cannabis products. That is why we make sure that our clients are offered exceptional packaging. According to government mandated requirements and regulations, cannabis has to be marketed in a certain way, in order to be allowed to be sold. NewPrint also offers great packaging options to cultivators and producers of fertilizers and other such elements that are used in the process of growing marijuana. All our options regarding cannabis packaging include multiple film layers that offer stability and strength to the packaging. Our packaging is easily transportable and puncture resistant. We can also help you with having packages that are customized in size to suit your brand the best. Choosing just the right size and the packaging will go a long way in establishing your brand as one of the best in the market and NewPrint specializes in that! We are committed to offering you the best cannabis packaging options to choose from. Medical marijuana, generally, is packed in flat, with wide layers that offer more space for the producers to offer information about the dosage information and ingredients, in addition to the required texts about caution and warnings. Following these mandates not only gains your brand a reputation for being honest and straightforward but also keeps your consumers safe. Medical marijuana must be packed in such a way that it is childproof in nature. It should be difficult for kids to open it while being easy for the adults to use it. The marijuana edibles that are not single-use should come in resealable bags or pouches. NewPrint offers the producers the best cannabis packaging for medical marijuana. We even offer recyclable cannabis packaging for medical or recreational marijuana which would work great to show the customers that you care. NewPrint offers the cultivators and producers with packaging options. The best way to market cannabis is in bags. These bags must follow the regulations in order to make sure the risk of accidental consumption is as low as possible. We make sure this and all other regulations are followed while designing the packaging for your product. Using a strong barrier film will help in protecting the content better and also in reducing the smell. This barrier decreases the oxygen transfer rate of the cannabis product, which increases its shelf life. This also helps it in maintaining its weight. There are a variety of bags and pouches available for this, some of them being Bug Bags, Growers Bags, Child Guard Exit Bags, and Re-Sealable Bags. If you are a cultivator, you also need good storage options. While your products wait to be processed, they need to be kept in a place where they are safe from the natural elements and are secure. They cannot be contaminated. You can try temporary vacuum storage bags for this purpose as this option helps in maintaining the plant’s weight and protects it as well. Airtight vacuuming assists in keeping the product safe and fresh and also works to immediately show any evidence of tampering. Corrugated boxes are reliable and cost effective and are a great way to store and ship marijuana products. They are also a great solution for disposing the trimmings and waste. Great design, secure packaging, and excellent branding are vital for any business. However, it is more important than ever when it is regarding cannabis in retail stores. It is important that your packaging is appealing to the customers. Of course, having great packaging will also be a boost as it will keep the content stay fresh and intact. We offer cannabis packaging solutions that would work the best for your brand. You can choose every element involved in the packaging and NewPrint will make sure it happens. No matter what kind of cannabis you are marketing, our packaging solutions are designed to accommodate every type. Let us take a look at the design process of cannabis packaging. The first thing to do while designing packaging for your cannabis products is to research thoroughly about it. Every product has its own requirements. NewPrint offers customized designs in order to ensure the product is not only safe but is also marketed in the best manner possible. With proper research beforehand, we will be able to gather important information regarding your brands, such as the product, its intended use, specs, limitations, and more. We can also research about how others in the industry are doing it and find a way to make yours better! The second step is product planning. In this step, we take into consideration the state’s regulations and figure out how best to incorporate them into the packaging. With some work, we can come up with packaging that complies with the regulations and also has a design that depicts your brand. Next, we can go ahead with creating the actual design. We have a number of defined ideas. You can go through them and select one of them. If you would rather have something else, NewPrint can help you with that as well. Once the design has been chosen, we turn it into a reality! Keeping in mind the newly proposed regulations regarding cannabis packaging and marketing, here are a few tips for better packaging of your cannabis products. While the new proposal mandates only uniform colors to be used, think of all the ways you can use that. Give your logo a new twist and let it tell your story as a brand. Since you can include a slogan, use it to your best advantage. At the same time, work to show your brand as an honest, trustworthy, and reliable one. Consider various options and think about how user-friendly can you make this product while still making it child-safe. It is also a good idea to include instruction on how to use cannabis products. Offering your consumers detailed instruction will help them have a better experience rather than fumbling about, unsure what to do. Again, make sure the packaging reflects your brand values. How Can NewPrint Help You? We understand that with the new regulations by Health Canada, packaging and designs will need a significant change if they are going to be allowed in the market. While Health Canada recently talked about imposing restrictions on marijuana packaging, the producers will receive about 6 months to make the changes. We can help you with revamping your old design and come up with something even better, while still complying with the rules. From sourcing quality paper for the packaging and using simple but elegant designs to convey your brand image, we will assist you in every step along the way. We offer cannabis packing with multiple options that you can choose from. Not only this, but we can also help you with environmentally friendly cannabis packaging. This would appeal to the consumers who are seeking a more natural form of therapy. From the papers used for the packaging to the design and cover, everything is done to form a reliable final package. This package will not only look good on a retail shelf but also make sure the product inside is in perfect condition. NewPrint is an expert in the packaging industry and we aim to use our experience to provide you with the best packaging options for your cannabis packaging. You will be involved in every step so as to make sure that it meets with your approval. With over thousands of customers happy with the service we provide, give us a try. We strive to offer exceptional service to our customers. Contact our team today.